As the profession of journalism has been attacked and undermined by the charges of "fake news" from the Trump Administration, many journalists are doubling down in the effort to cover important international news that is so often sidelined by domestic daily headlines. Reporting about Iran and US-Iran relations, covering the "Muslim Ban" and its impact on Iranian Americans, as well as recognizing the current administration's policies in the Middle East, has made accurate and thoughtful coverage about Iran and its diaspora even more critical. Join us for conversation with Iranian-American journalist Melissa Etehad (Los Angeles Times), moderated by Dr. Persis Karim of SF State's Center for Iranian Diaspora Studies, on why reporting on these topics is more important than ever. 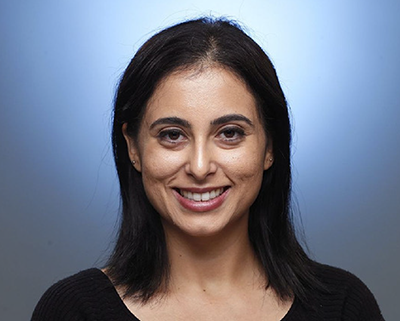 Los Angeles Times reporter Melissa Etehad is an Iranian American with expertise in foreign news with a particular focus on geopolitics in the Middle East, Iran and U.S. foreign policy. She has reported extensively on the issue of Iranian-Americans being detained in Iran.